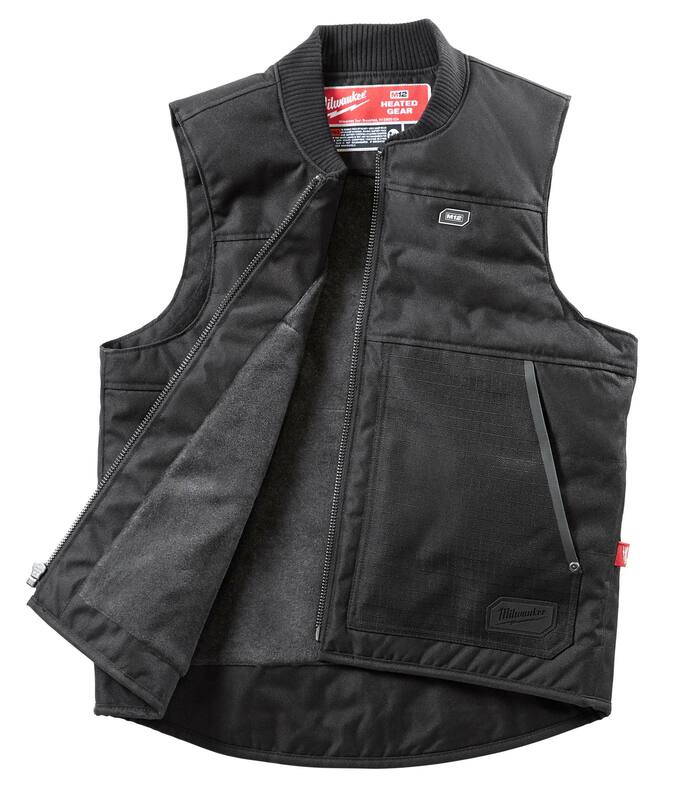 If your teeth start chattering while watching “The Hateful 8” and “The Revenant,” or the thought of frigid locations this winter make your blood run cold, now you’ll be able to stay warmer with cordless electric heated jackets: Milwaukee M12 Heated Gear. Probably the most versatile jacket for a camera operator sitting on a freezing crane all day is the M12 Heated 3-in-1 Ripstop Jacket & Heated Ripstop Vest. It’s available at Home Depot, hardware stores and online. A REDLITHIUM 2.0 Battery (12 VDC 22 Wh) powers the heated jackets up to 8 hours on a single charge (charger included). Get some spare batteries. You might even be able to rig a power cable that plugs into your 12V camera battery. (Could void warranty or burst into flames.) Better yet, the grip department hopefully is using Milwaukee Tool cordless drills and drivers that use the same batteries. 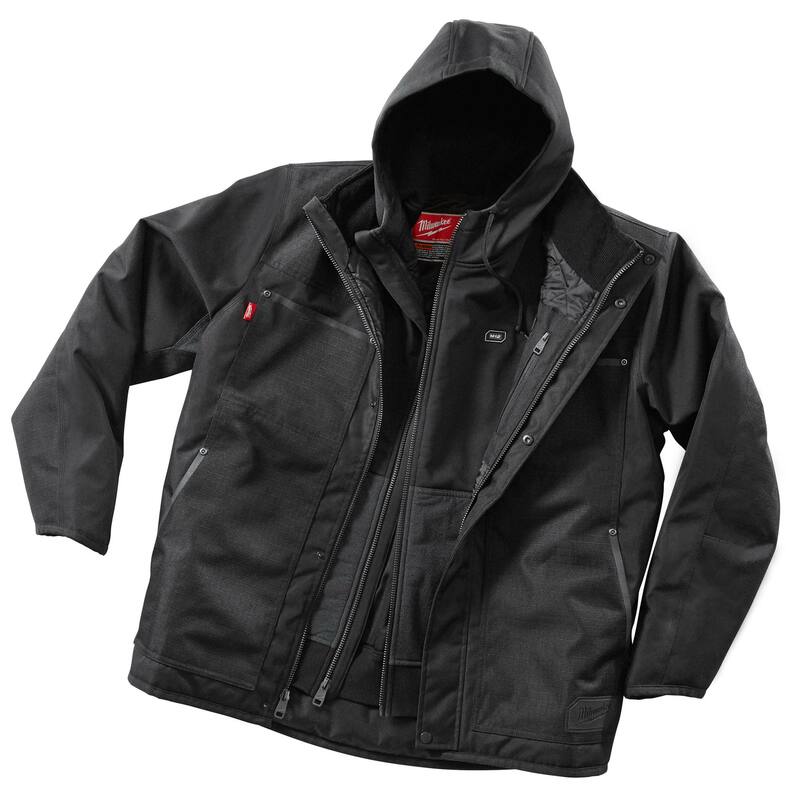 The M12 Heated 3-in-1 Ripstop Jacket combines a heated hoodie sweatshirt with a tough water resistant ripstop shell. The heated hoodie has 3 carbon fiber heating elements inside its water repellant shell and insulating liner. The Ripstop Shell is insulated, wind and water resistant, has 2 large hand and chest pockets, and is flexible like a ski jacket. There’s also a new M12 Heated Women’s Jacket with 4 carbon fiber heating elements and new fabric-layering technology to distribute heat across the back, collar, and pockets. There are many other models of Milwaukee jackets, hoodies, vests, and hand warmers. I tested the jacket today as the temperature in New York dropped below freezing. Highly recommended. I have Milwaukee’s first generation jacket and was never able to feel any hear come from the chest elements. I switched it and had the same problem. All these jackets expect you to be wearing nothing but a tee shirt under them, but in any real weather that isn’t going to happen. I’ve since retired the jacket and gone back to my North Face jacket and Canada Goose pants. David–This is a new generation. It was very toasty today for me in the cold.